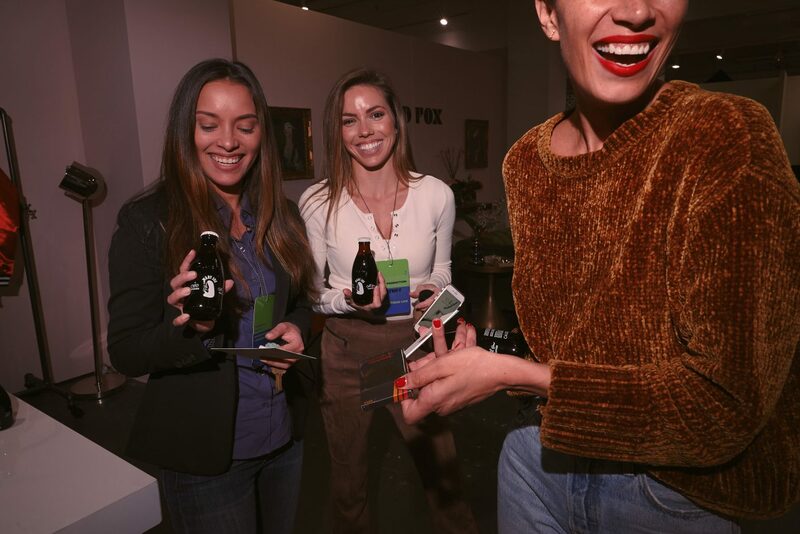 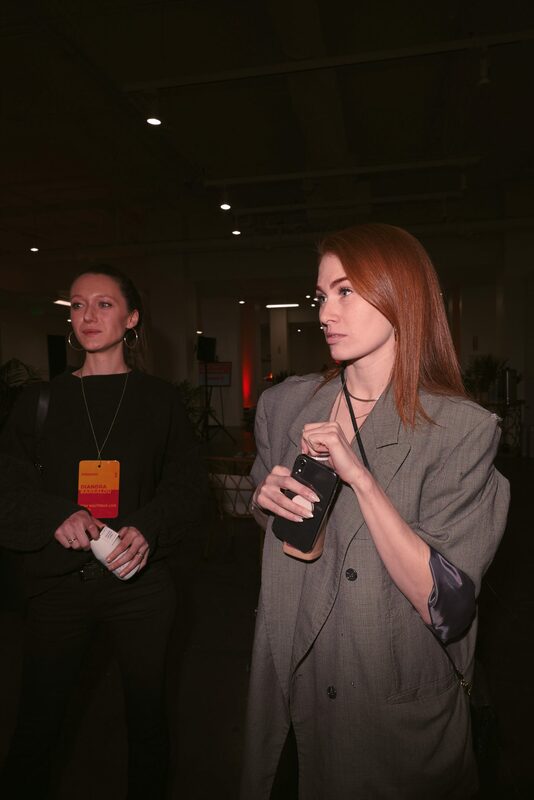 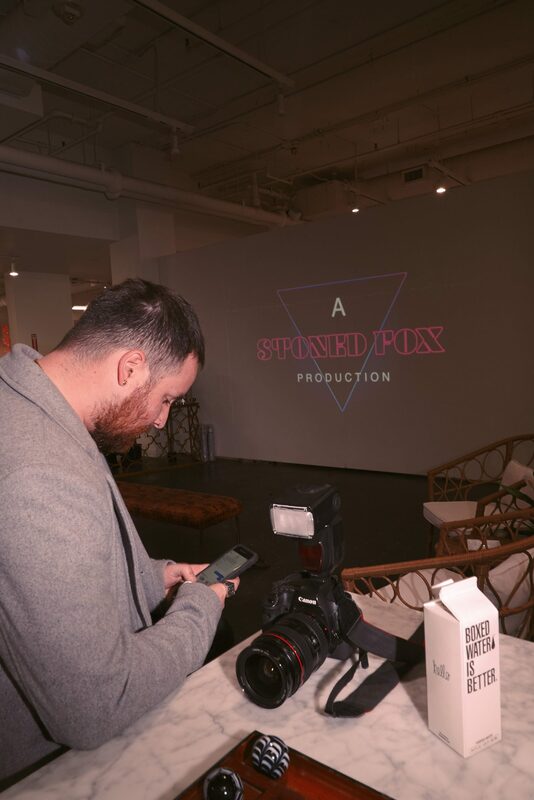 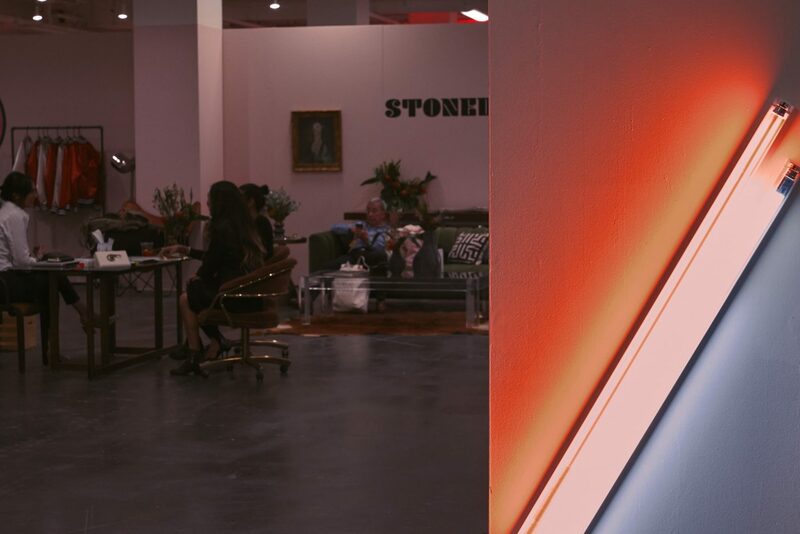 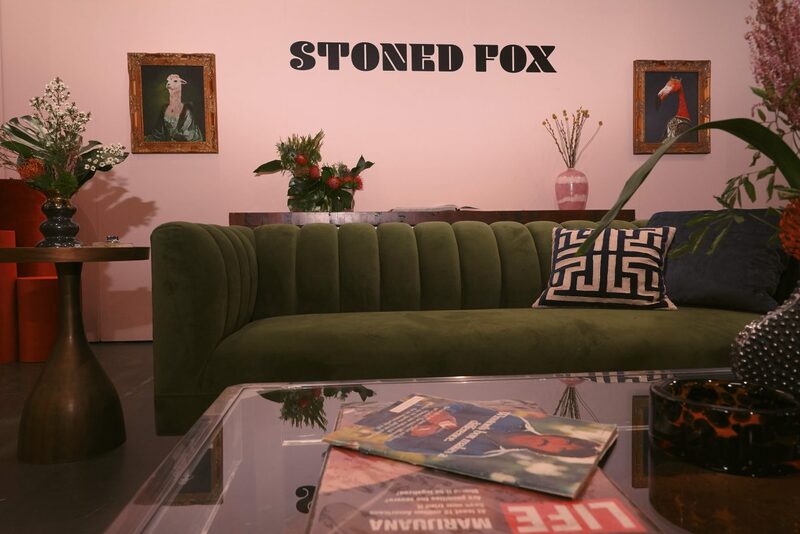 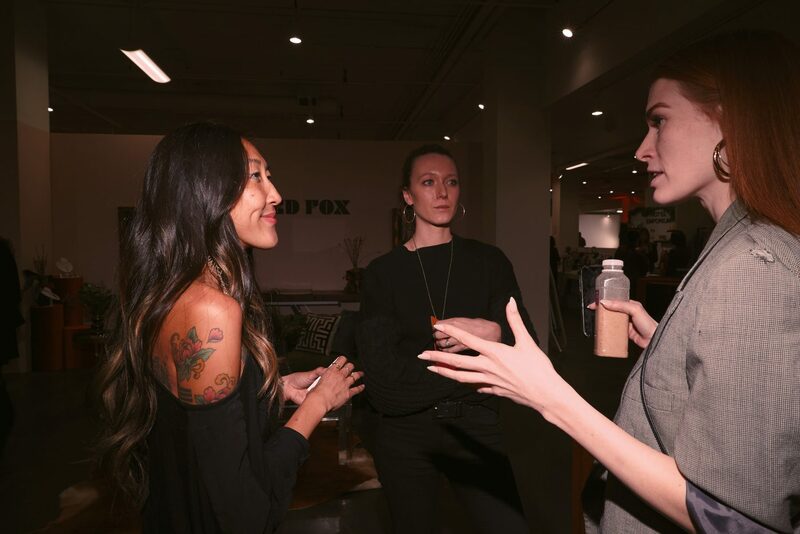 Stoned Fox in partnership with Stay Boutique Media, showcased the first luxury CBD pop-up lounge catering to the global hotelier community, on Feb 11th-13th in downtown Los Angeles at the Magic Box. 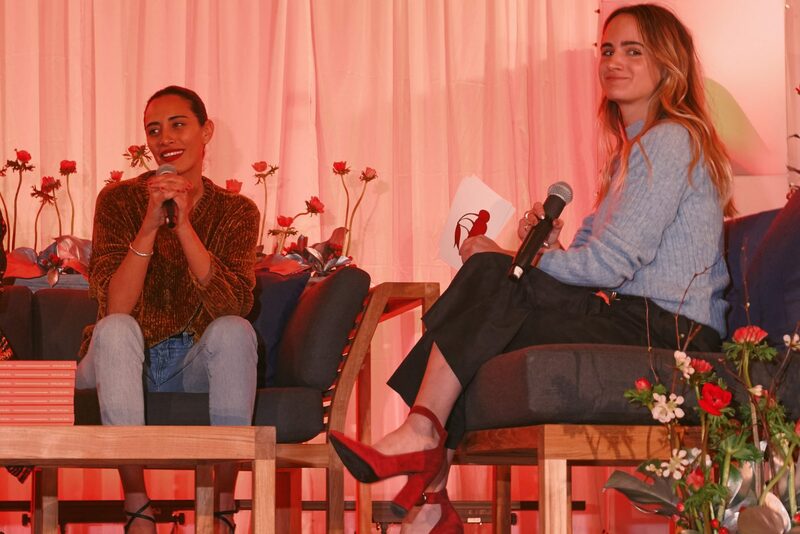 After being asked to create a panel for the Stay Boutique Live Trifecta Conference, we thought why not utilize this opportunity to bring what we call our “vision diorama” to life. 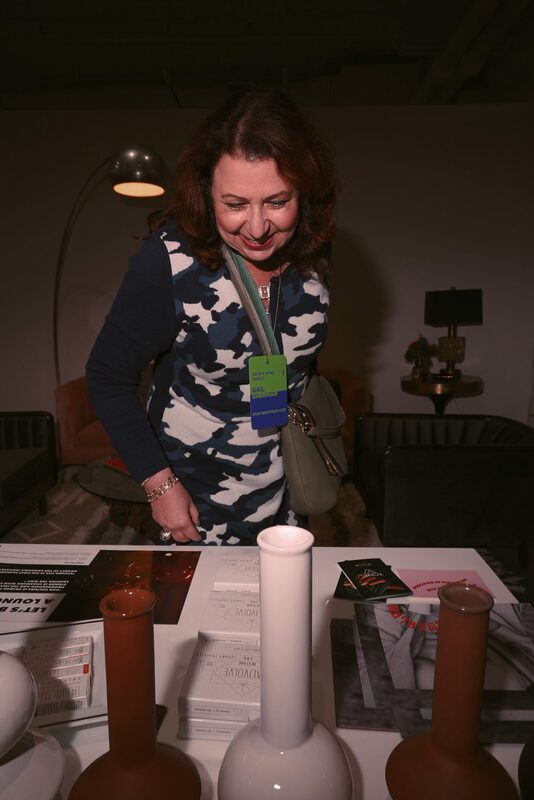 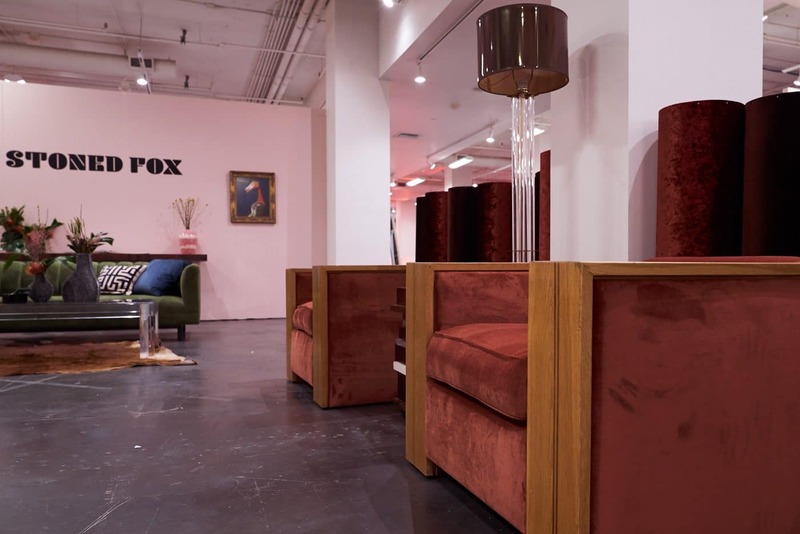 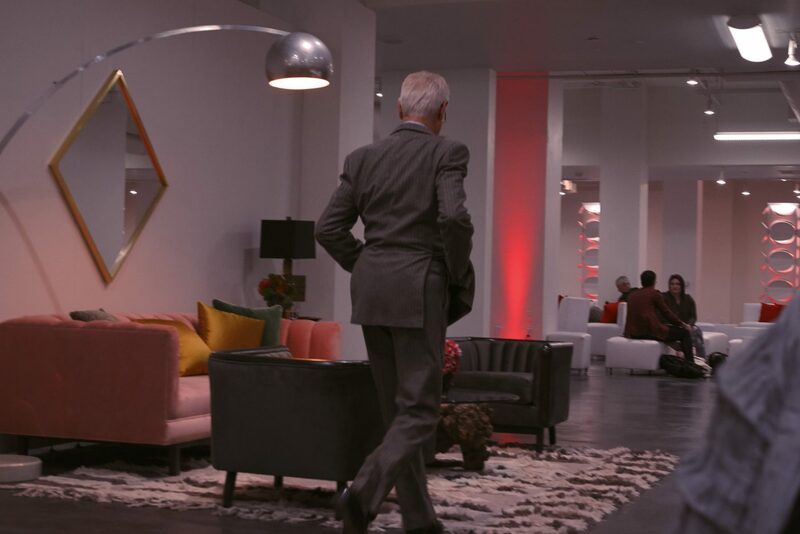 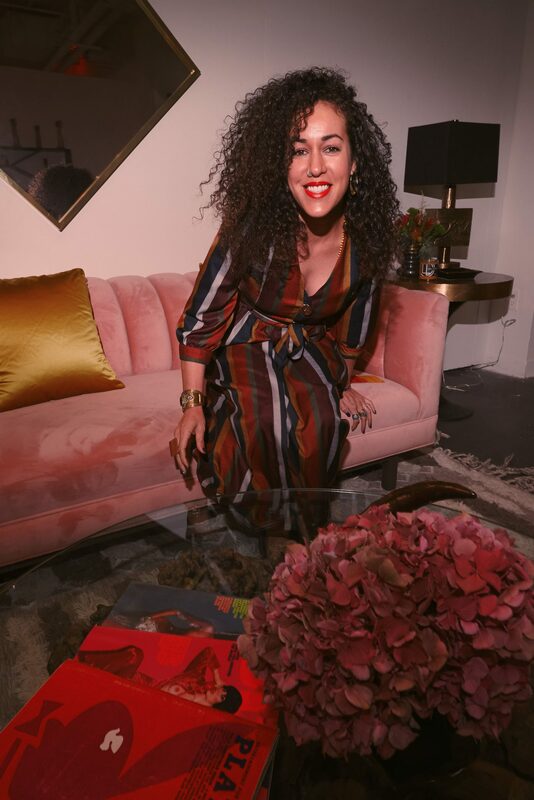 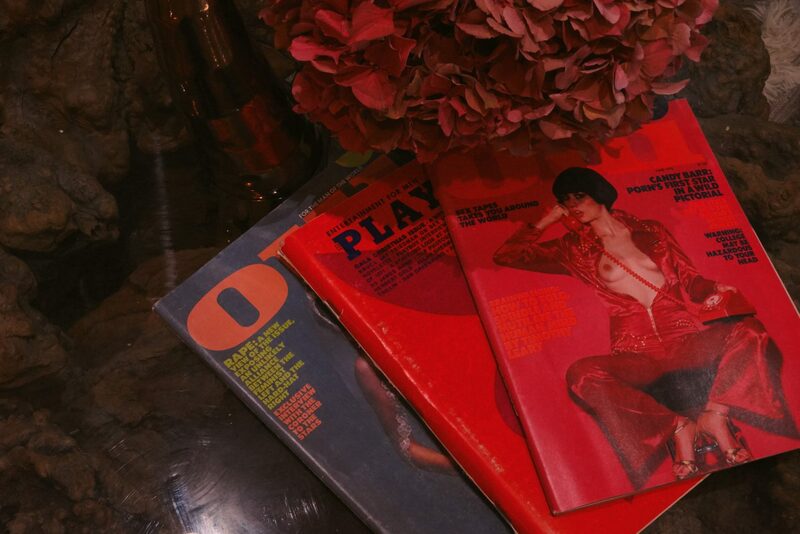 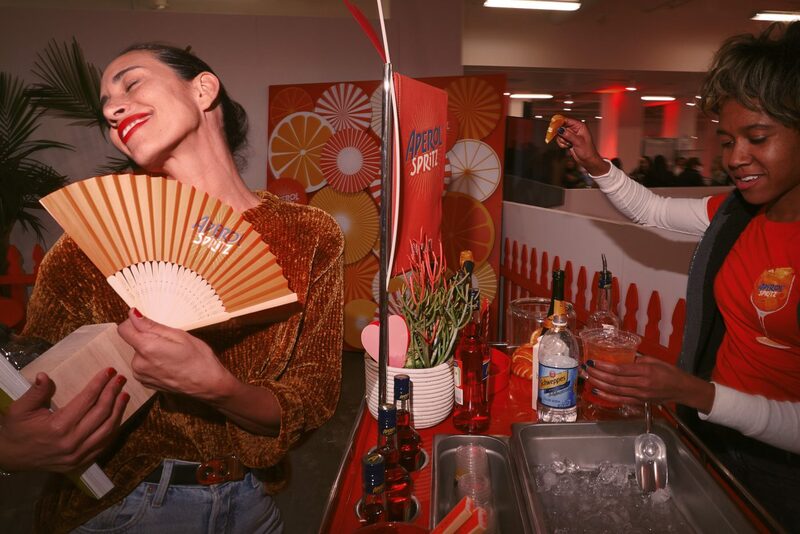 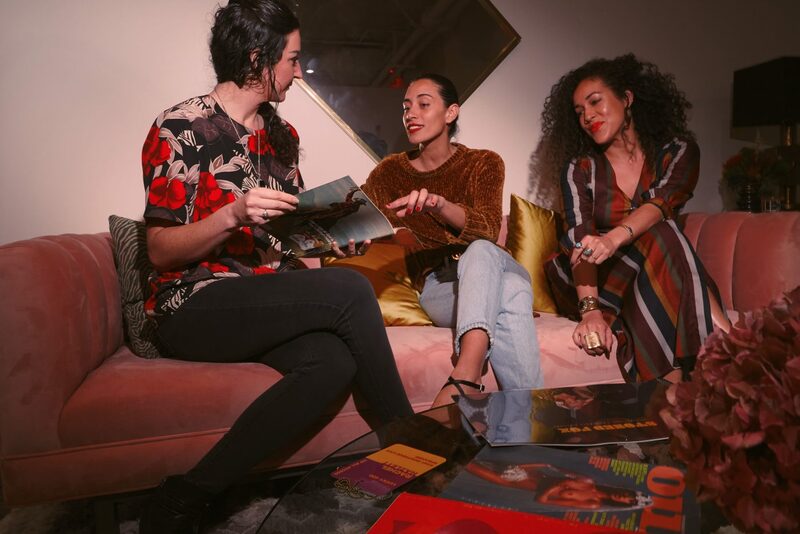 Instead of your typical white-walled booth, we worked with the incredible Devall from Devall Home designs and staged the 1000sq ft immersive space with her collection of the 60s and 70s vintage furniture. 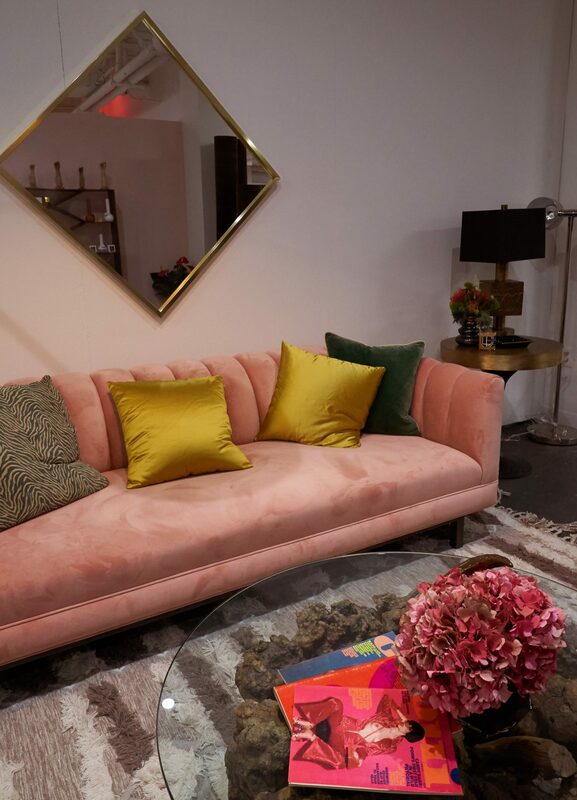 Instead of using the traditional partitions, we put the hammer to nail with our friend Evan Segota from Rough and Smooth on creating beatuiful velvet cylinder walls. 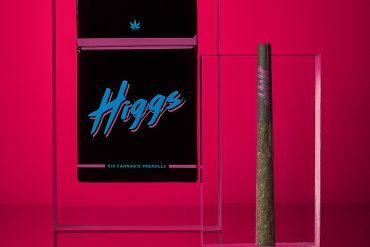 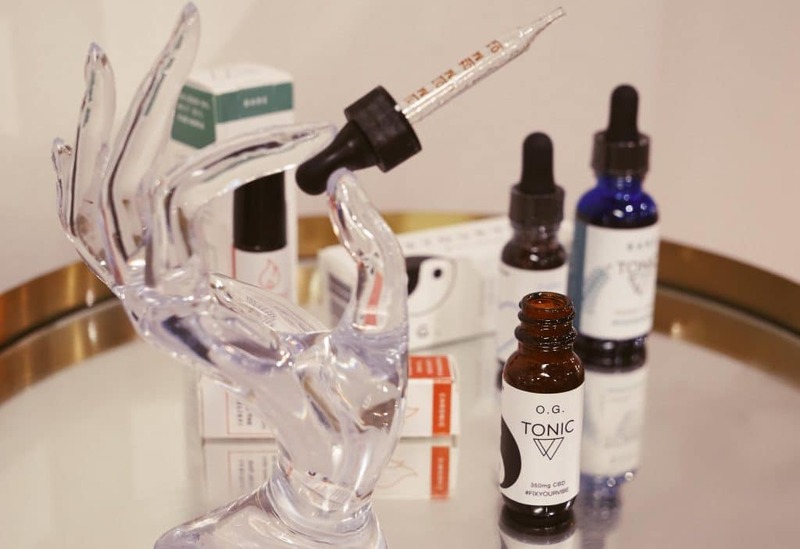 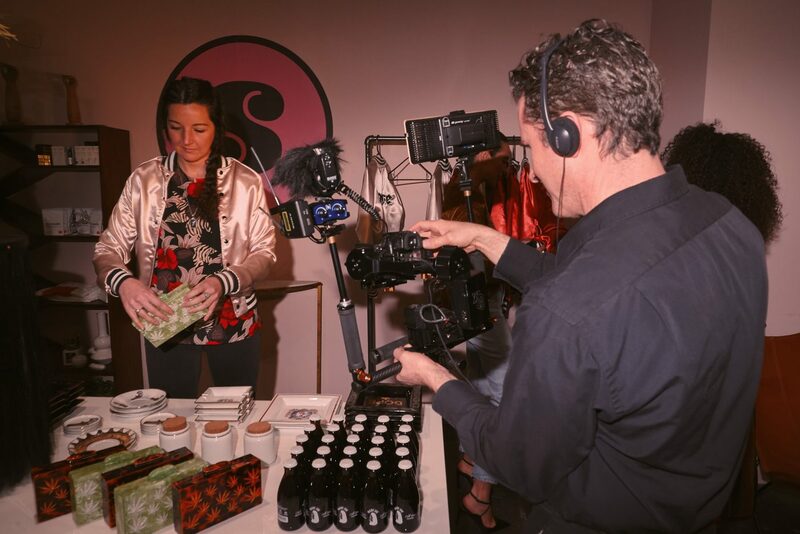 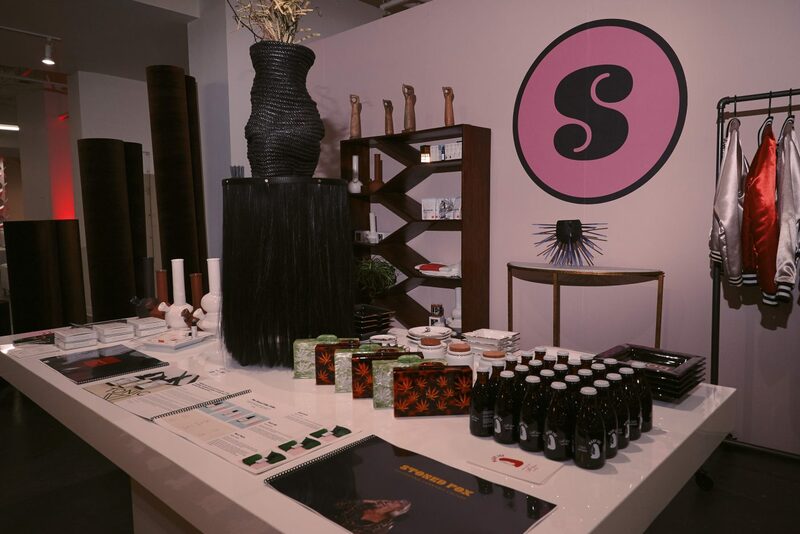 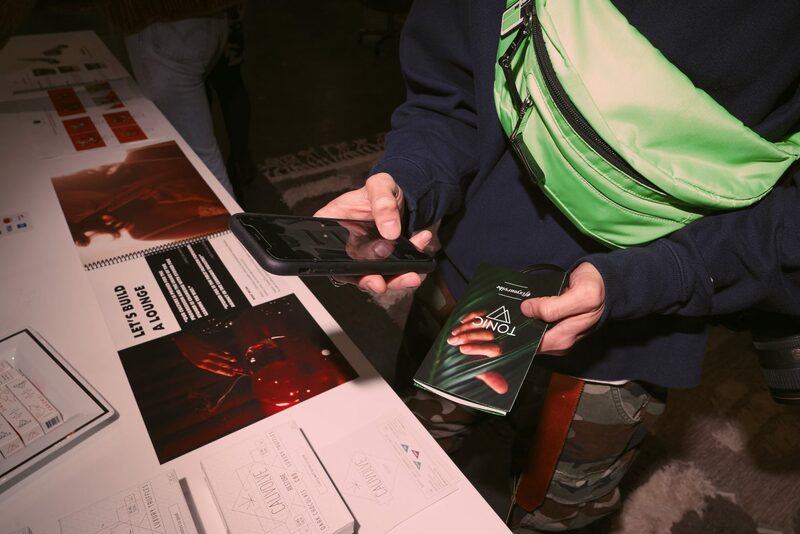 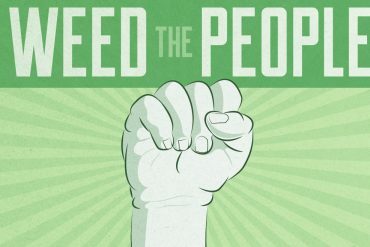 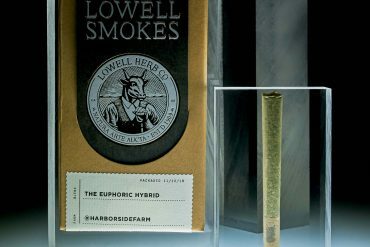 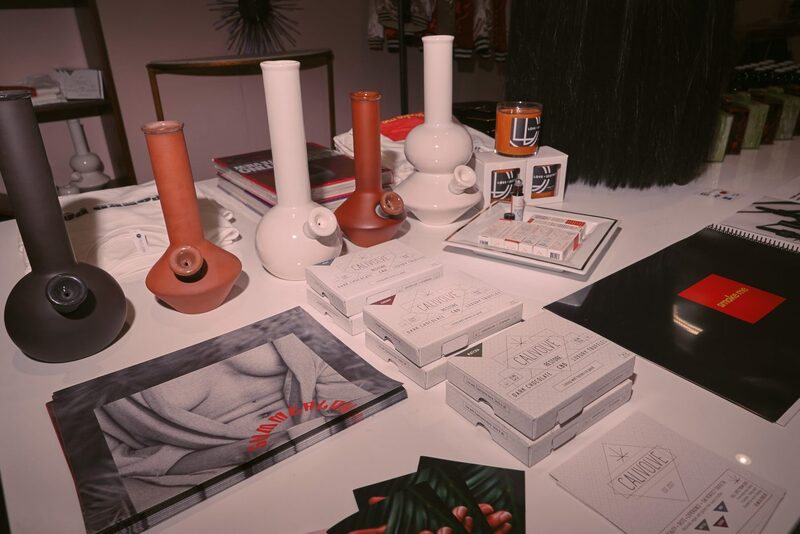 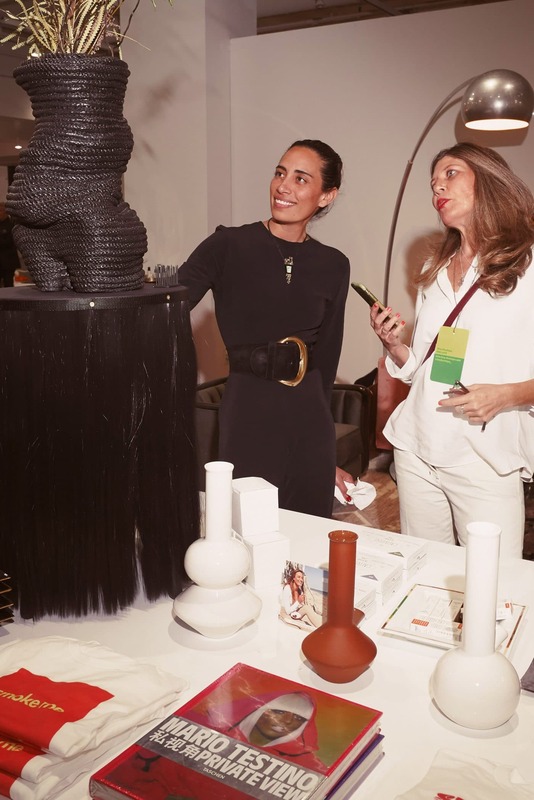 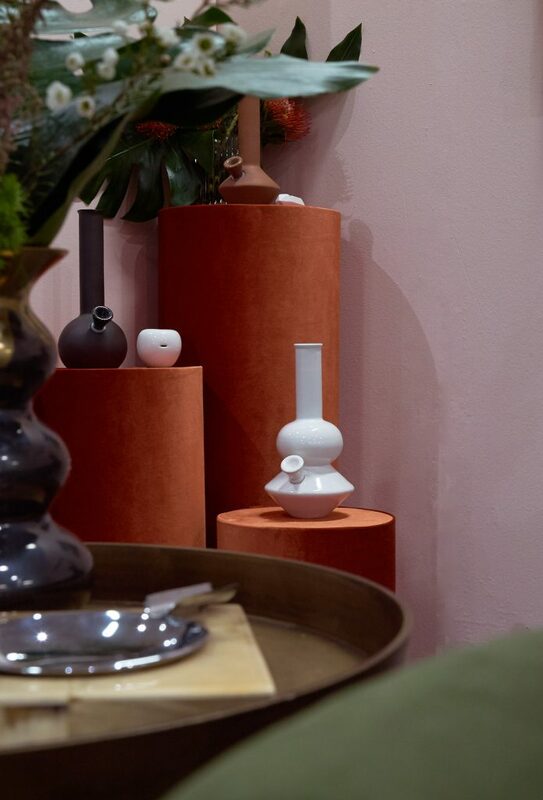 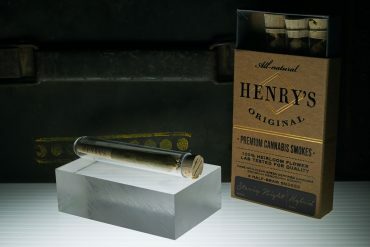 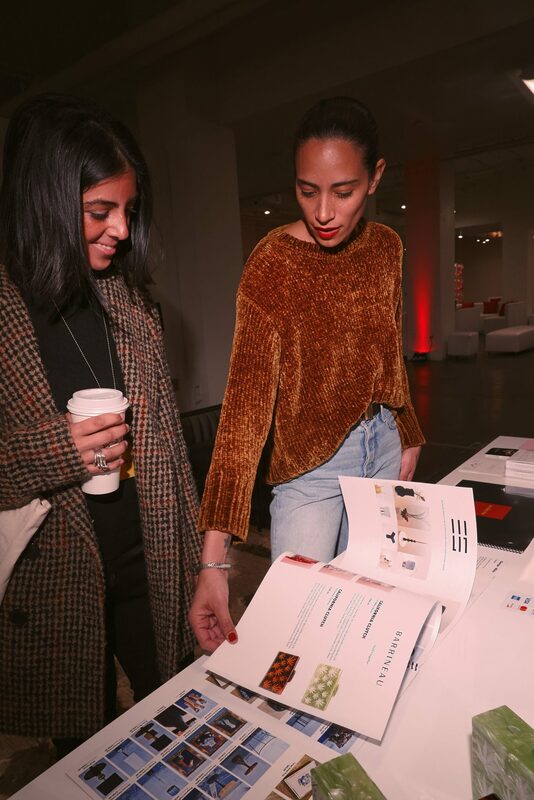 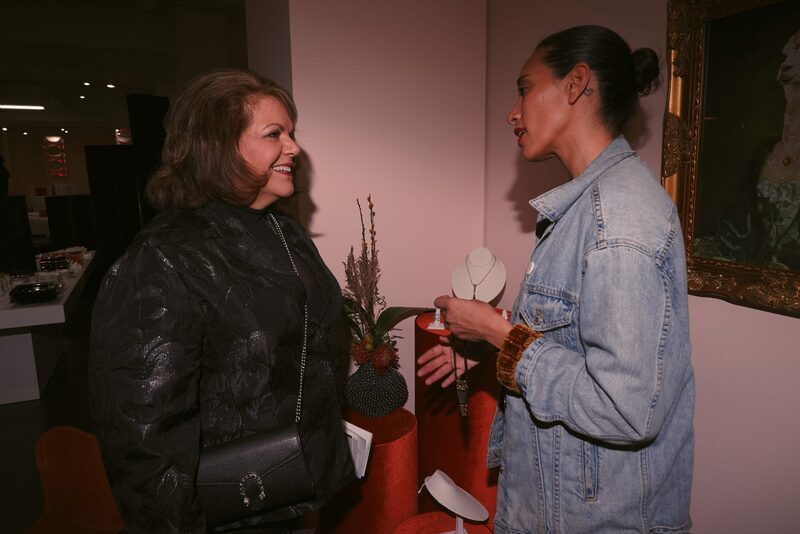 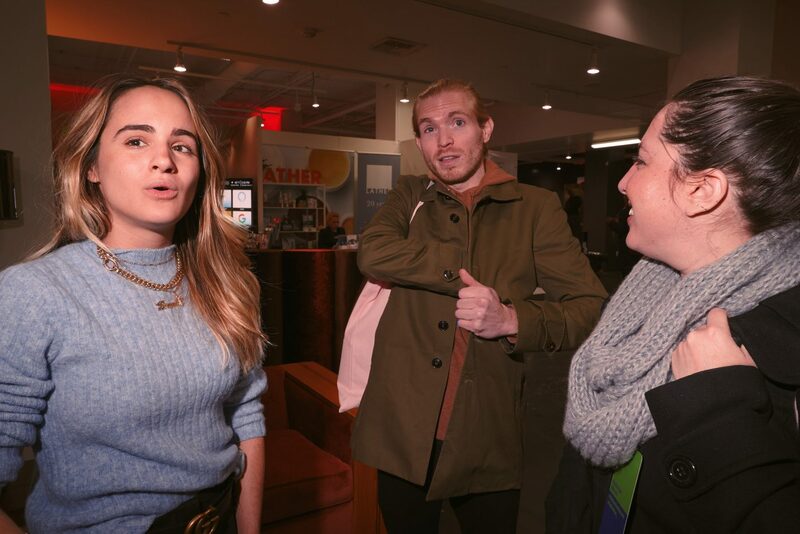 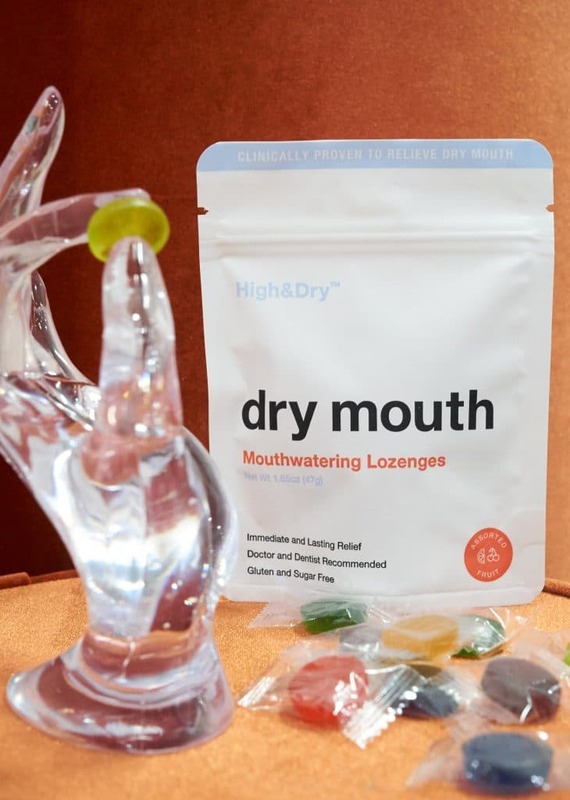 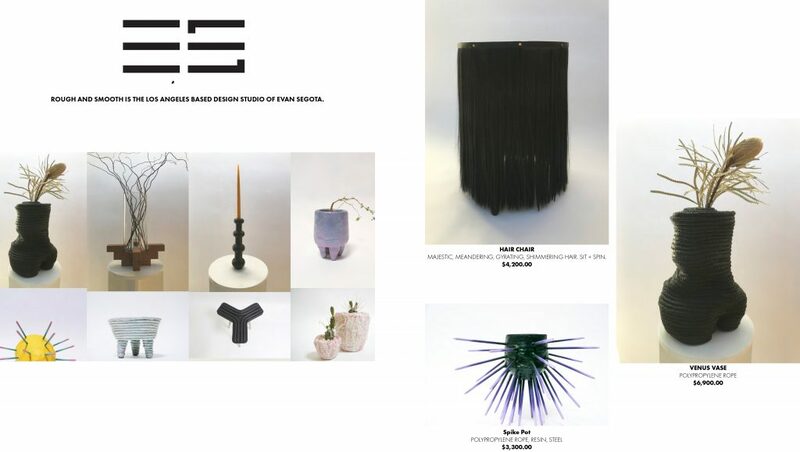 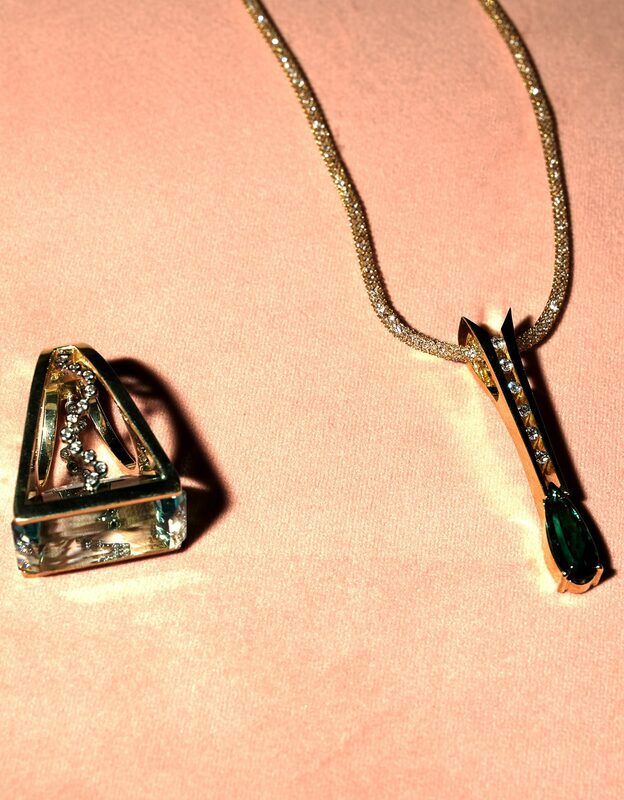 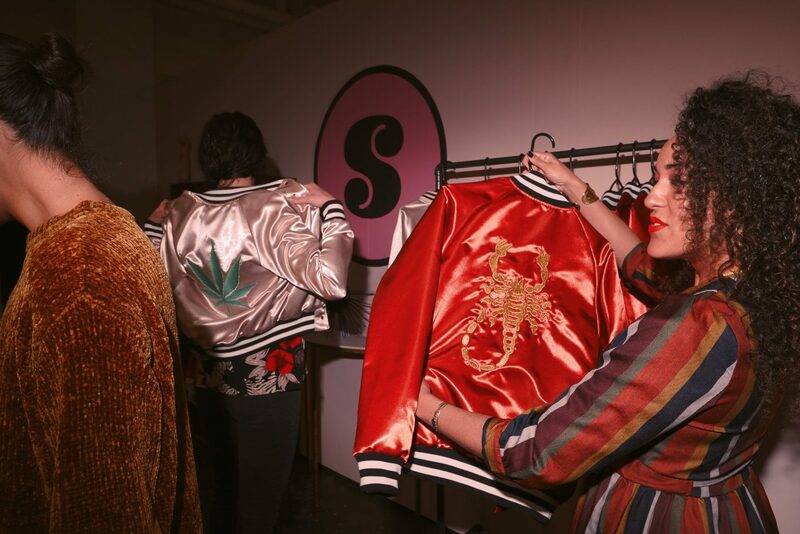 Some of the brands in the boutique included New York-based Tonic CBD (tinctures and topicals), Oregon’s High&Dry (lozenges), Calivolve CBD chocolates, Summerland Ceramics (bongs and pipes), Barrineau handbags, Catherine Fulmer silk bombers, and 16k diamond rings by artisan jeweler Harry Roa. 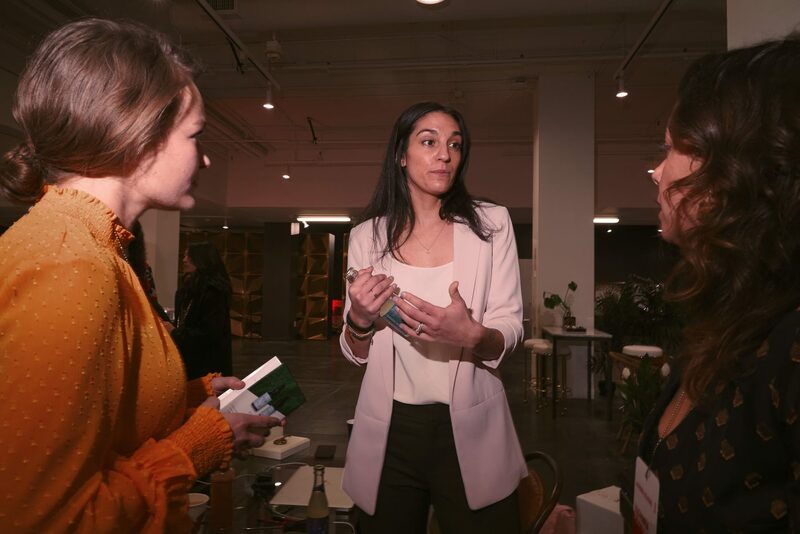 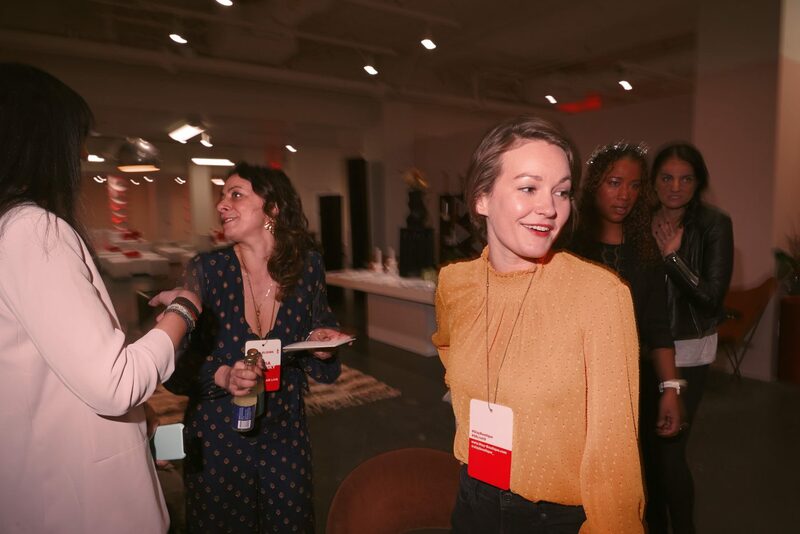 Some of our guests included Chelsea Neman the creator of Tappan, April Gargiulo CEO of Violet Grey, and the ladies from MissBish. 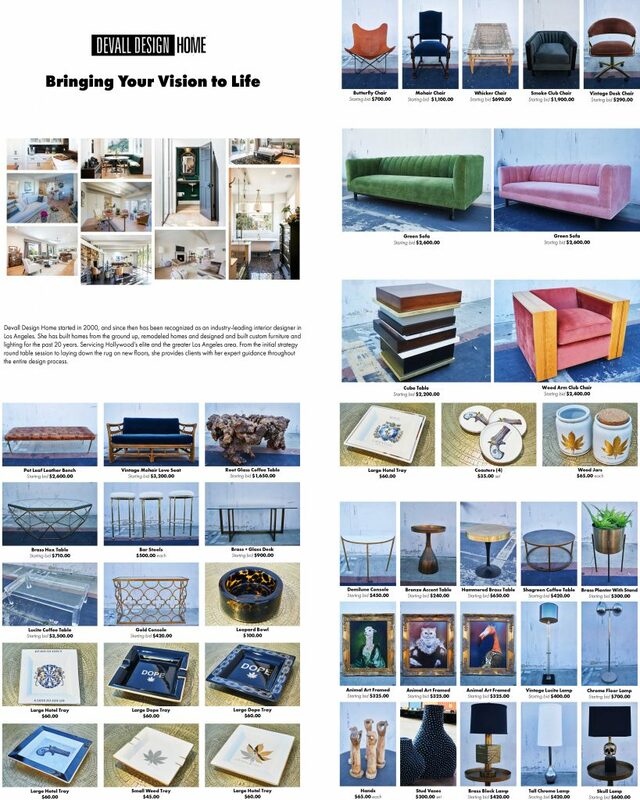 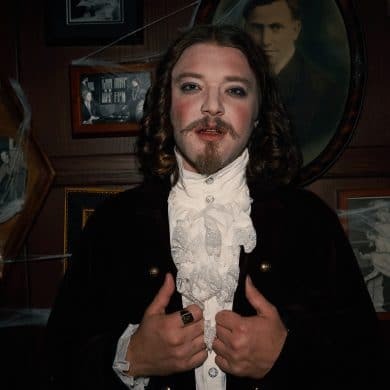 Interviewed by Bianca Monica of Limone Creative. 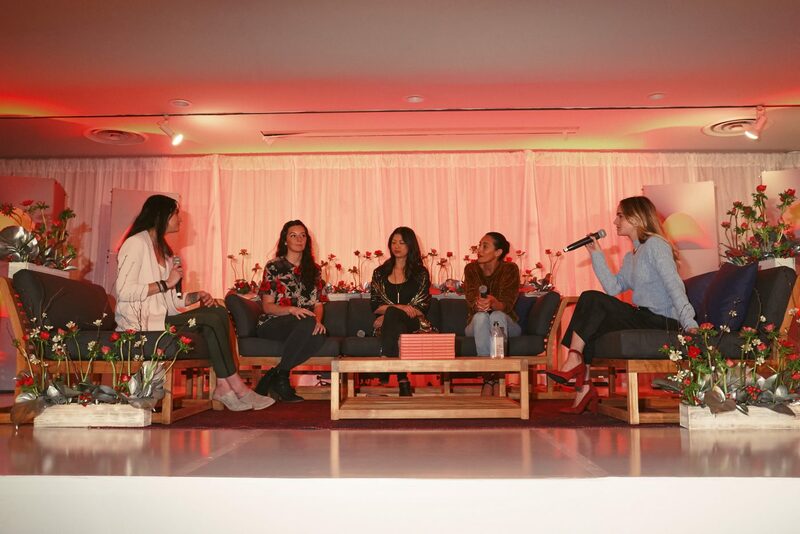 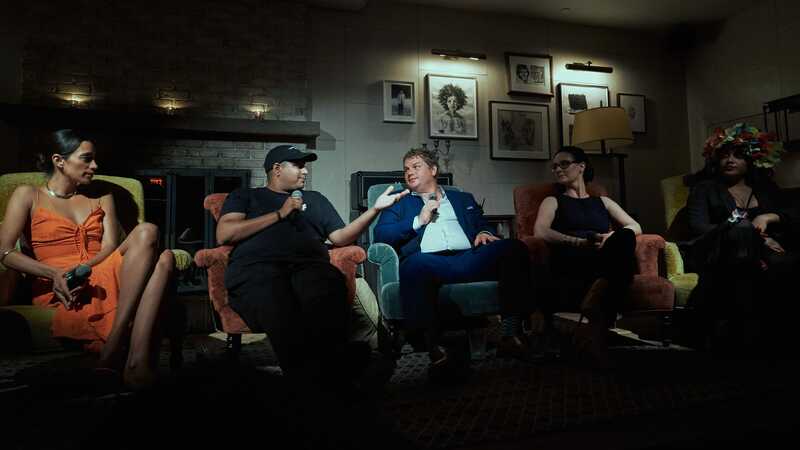 Our panelists included Lucky 420 CEO Rachel Hazlett, and Elevate Jane founder Angela Mou, and Tonic CBD founder Brittany Carbone and yours truly. 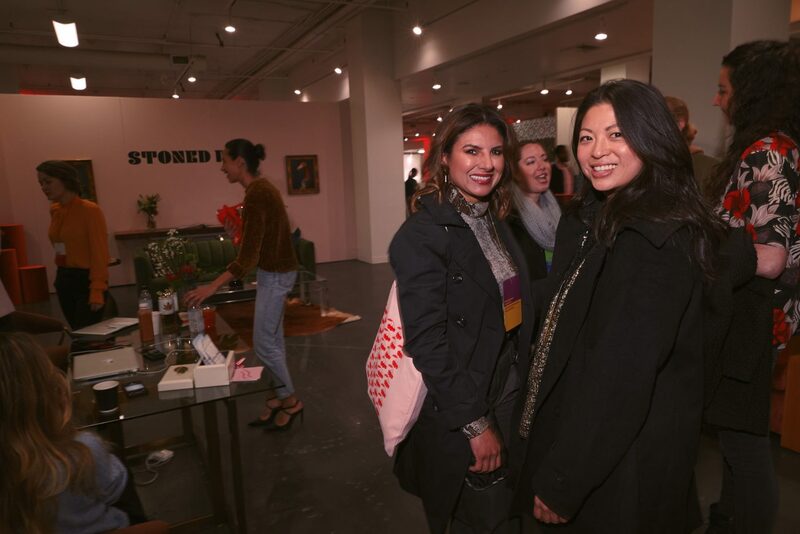 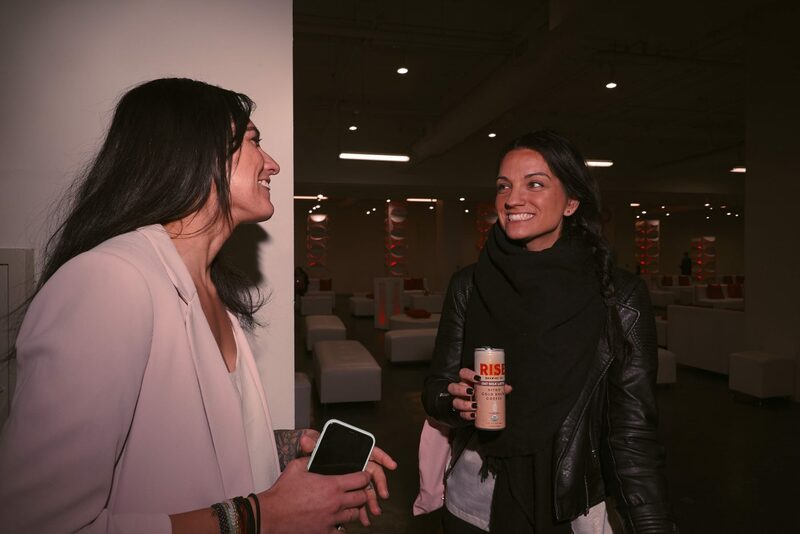 As a cannabis marketing agency, we look forward to bringing more immersive experiences and trusted brands to our growing global community. 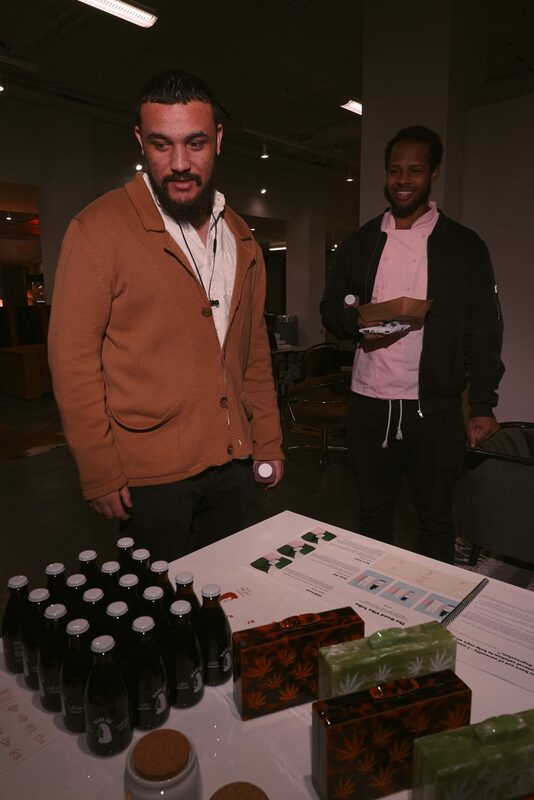 Creating an inclusive space filled with educational, creative, cultural and wellness driven experiences.